Kind-hearted staff at an award winning garden centre near Bradford have completed a 16 mile walk to raise funds for a Leeds charity. 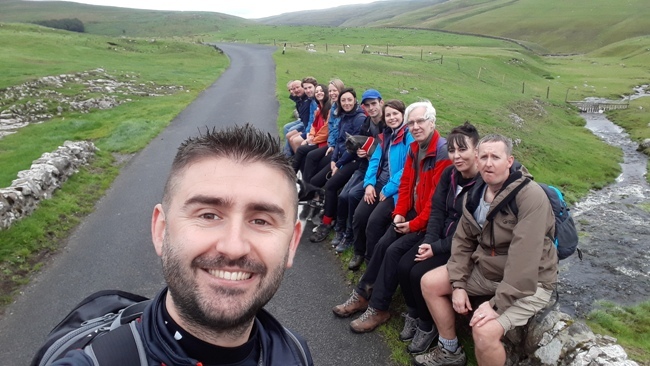 The 12 colleagues from Tong Garden Centre who donned their walking boots for the trek round Malham Tarn in the Yorkshire Dales are on track to raise over £3,500 for Candlelighters. It took the group six and a half hours to complete the walk, and Marketing Assistant Pete Casci, who came up with the fundraising idea, was delighted with the anticipated amount raised. Brian Curran, corporate fundraiser for Candlelighters, said: “Tong’s support is invaluable. Last year, we embarked on a special project to renovate a property for use by families whose children are being treated at Leeds Children’s Hospital for cancer.